Nutritional Yeast is favored by vegetarians and vegans for its nutty, cheese-like flavor. It is naturally low in fat and high in protein. One ounce of nutritional yeast contains 14 grams of protein. Nutritional yeast is an excellent source of almost all B complex vitamins, including B1 (thiamin), B2 (riboflavin), B3 (niacin), B6 (pyridoxine) and B9 (folic acid). Most high quality nutritional yeast is fortified with B12, which is produced separately by bacteria. 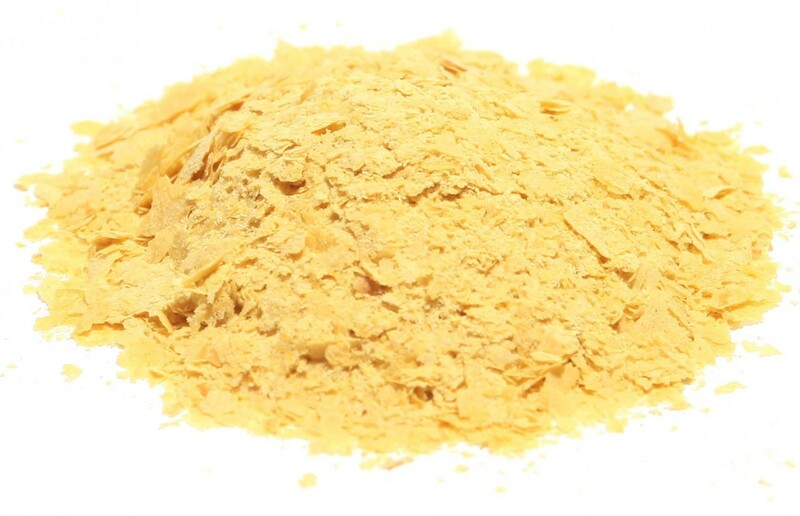 Nutritional yeast’s yellow color comes from the B vitamin riboflavin. Non-GMO nutritional yeast contains at least 15 minerals, including selenium and zinc, and 18 amino acids, to form a complete protein. Nutritional yeast DOES NOT contain active yeast. It is generally considered acceptable in moderate amounts for those following a diet designed to manage Candida. Also, remember that there is a significant difference between brewer’s yeast and nutritional yeast. This entry was posted on April 29, 2015 by thrivecoach12 in Herbs & Spices, Nutrient Values and tagged B12, Candida, folic acid, naturally low in fat and high in protein, nutritional yeast, Vitamin B source.